Are you using the wrong RMM platform? How would you know? What are the signs to look for? 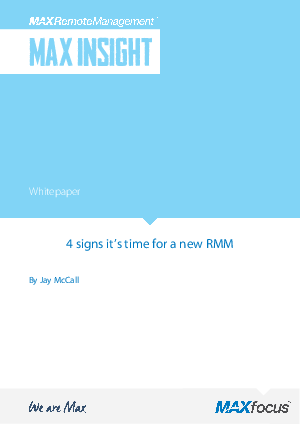 Using the right RMM platform is critical to building a sustainable and profitable managed services practice – and we’ve got just the whitepaper to help.